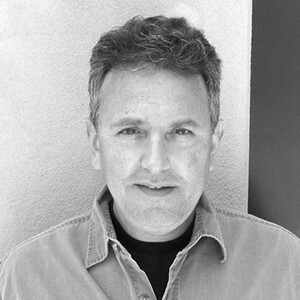 THOMAS G. MILLER, ACE has worked on documentaries and in public television since 1994. He associate produced the Sundance award-winning film Licensed To Kill (POV-PBS), co-produced the feature documentary Code Black, and co-produced and edited Fender Philosophers (PBS) and Camp Out (Logo). He has edited the feature documentary films, Good Kurds, Bad Kurds (Independent Lens-PBS), Home of the Brave (Sundance, BBC, CBC) and co-edited Rock The Boat (HBO). Miller produced, directed, and co-edited the award-winning documentaries, ONE BAD CAT (Ovation) and Limited Partnership (Independent Lens-PBS). Other credits include producing television films for Discovery, and WNET’s series on disabilities, People in Motion. Tom served on the board of the International Documentary Association for 9 years, and is a member of American Cinema Editors (ACE), the Academy of Television Arts & Sciences and the Writer’s Guild of America, West. He is Associate Professor of Cinema Practice at the USC School of Cinematic Arts and has been the Alfred P. Sloan Science mentor since 2009. He is also a board certified pediatrician and has served as a medical consultant for Sesame Street. He graduated with a BS degree from The University of Michigan, an MD from the Medical College of Ohio and an MFA from the USC School of Cinematic Arts.